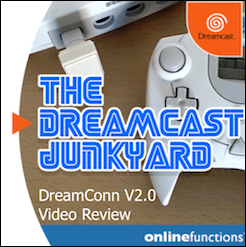 The Dreamcast Junkyard: Shmup Up the Volume! 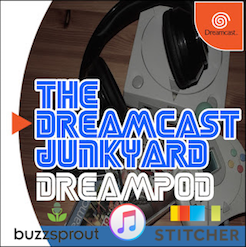 First of all I would like to apologise to all of you folks out there, that like me, check regularly to see if there’s anything new posted on the Dreamcast Junkyard. As you may know, the ‘Yard is a three man operation, founded by Tomleecee and supported by myself (Father Krishna) and The Gagaman(n). So what about me? What’s my excuse for not stocking the ‘Yard with new posts? Well there are a couple of things! 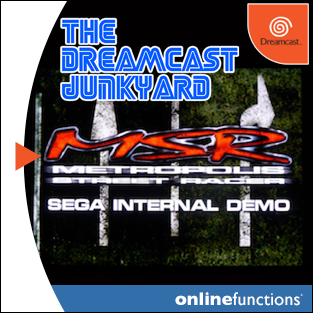 Firstly I’ve been collaborating with my good buddy Caleb, on a Trans-Atlantic project celebrating another one of Sega’s classic consoles- The Saturn- over at the un-originally titled Saturn Junkyard. I’ve also been contributing to a blog about the world of handheld gaming with the wonderful Gnome, originally titled Gnome’s Gaming On The Go. Combine those two things with the mundane pursuits of work and family life and the end result is... not enough time to sustain my posting duties here at the ‘Yard. But hopefully that will change now. I’ve been adding to my collection (which I posted on this very site last month) and substantially boosted my games repertoire. The games haul includes: Virtua Athlete 2K, Silent Scope, Plasma Sword, Unreal Tournament, Skies Of Arcadia, Deep Fighter, Championship Surfer, Fur Fighters and Wild Metal. 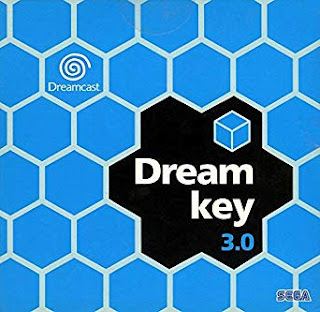 I’ve also played bought and played brand new Dreamcast release Last Hope and a new set of Cha Cha Amigo maracas from the wonderful Play Asia, so my love for the Dreamcast is still alive and kicking!!! 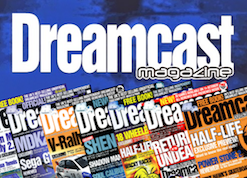 Talking of games developed for the Dreamcast after its official “retirement”, the excellent Games TM Magazine has just run a full page review of said titles, and because I love you I’ve decided to transcribe the entire thing for your reading pleasure! 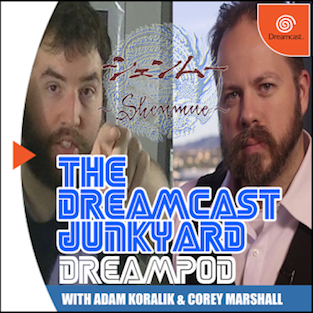 “When Treasure’s Ikaruga was announced for Dreamcast in 2002, everyone naturally assumed it would be the last Dreamcast game. It wasn’t of course, but that didn’t stop the game from selling out almost instantly, becoming one of the most valuable titles on the system. Literally meaning “spotted dove” Ikaruga re-defined the shoot ‘em up with a puzzle mechanic that rewarded players for intelligent mastery of the black-and-white colour-coded enemies and weapons. 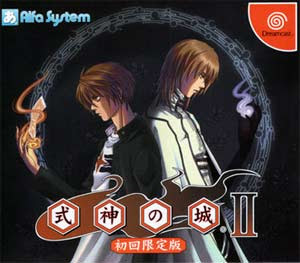 Although it was produced on Gamecube, PS2 and Xbox, the Dreamcast version of Shikigami 2, remains highly collectible thanks to it’s low production run and limited editions. 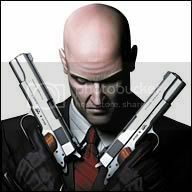 As a shooter, its fairly generic but notable for using humanoid characters, rather than the more traditional spaceships or aeroplanes. 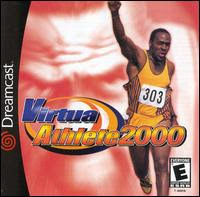 Despite being generic it is pretty enjoyable and well worth adding to any Dreamcast collection. 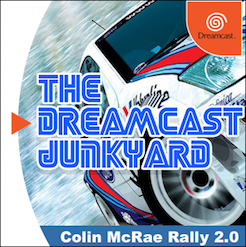 So, for a game exclusive to the Dreamcast format, the unusual Border Down manages to fetch a very pretty penny- and that is something that is looking very unlikely to change any time soon. Noted for its adaptive difficulty Border Down stands out as one of only a handful of horizontal shooters to be produced in the last five years. Fast, colourful and very playable, Border Down is one of the best shooters on the Dreamcast, and essential even at the steep price. 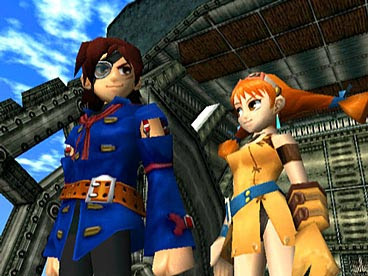 Of all the games released after Dreamcast’s demise, Under Defeat is surely the prettiest. Using full polygonal 3D environments and objects, this vertical scrolling helicopter shoot ‘em up looks incredible. 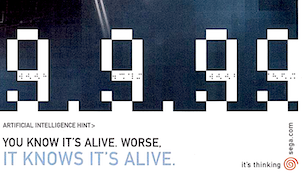 Interestingly, the back of the Under Defeat case claims that the game would be the last ever for the Dreamcast., but the shooter proved profitable enough, to ensure that the developer, Milestone, and several others continued to support the console. Chaos Field is an odd little shooter. Completely comprised of boss fights, you would expect to pack in all the best bits of the genre without all of the rubbish. 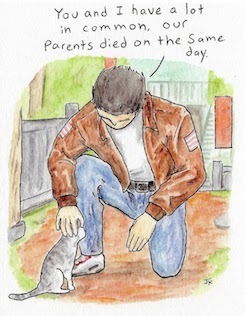 Not so, sadly. Although technically well made, there is something about the structure of Chaos Field that makes it feel exhausting to play. 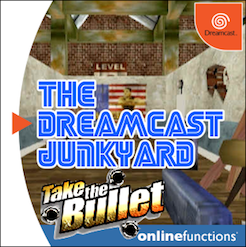 Other issues like slowdown and a general lack of originality in the mechanics make this the least attractive of Dreamcast’s more recent shooters. 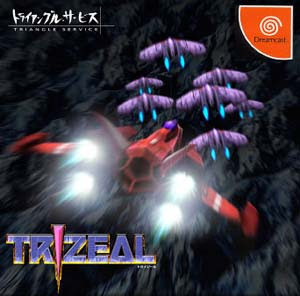 Although a strictly traditional shoot ‘em up in terms of the gameplay, Trizeal is worth checking out for other reasons. Triangle Service, a developer comprised of just three people, created the game, and its amazing to see what they have achieved with their comparatively limited resources. This is exactly what makes the current Dreamcast scene seem so appealing – it allows small developers to create games that they wouldn’t be able to on any other console. 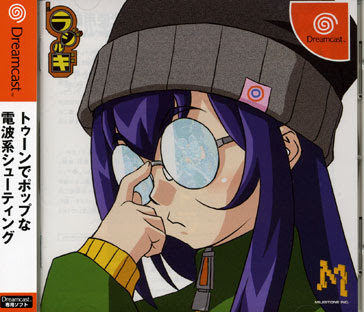 Puyo Puyo Fever was the last title that Sega ever developed for the Dreamcast system. 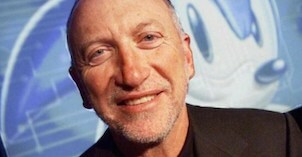 Developed by Sonic Team, the Fever game could almost be described as a vanity project to see how many different platforms could be supported with one game. The final result was ten different versions, making for one of the wildest multiformat releases in the history of videogames. As a collectors piece, Puyo Puyo Fever is as interesting to own as it is fun to play." Why thankyou Javier! I shall endeavour to add it to the post! 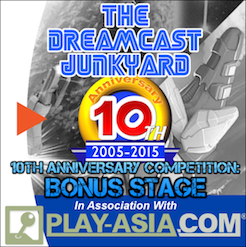 Please pop over to the Saturn Junkyard if you get the chance! Now are you just toying with me Gnome!? I've been waiting for that invite ever since you started it up!!!! Was it obvious? Did I drop too many hints? Just try and stop me! i've got it in writing now!!!! 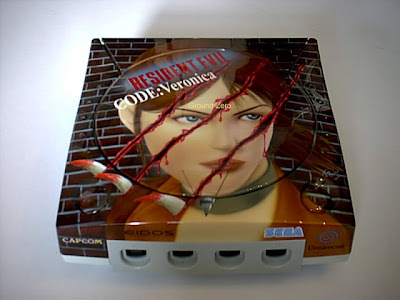 Is that a custom paintjob for the RE dreamcast console or is that a limited edition version? Not sure! 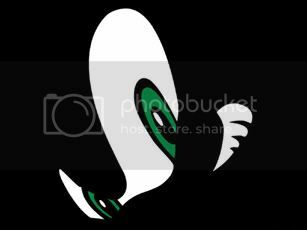 Just found it on the net! The bonus of Puyo Fever: Even though it is a Japanese only release on the Dreamcast, because the game was released at the same time worldwide, the game has English language options! Keep the voices Japanese though, as the dubbing is atrocious. If you want people to read your blog and comment and click on your ads you might want to take a more polite tone than that. I can't tell from your comment if you are saying that your blog is better than this one or if you are saying that the PSP is somehow better than the Dreamcast. Either way I think that the comment wasn't very well thought out. 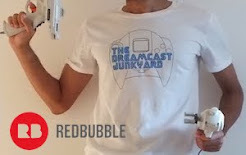 The Dreamcast Junkyard is a REAL resource for retro gamers. 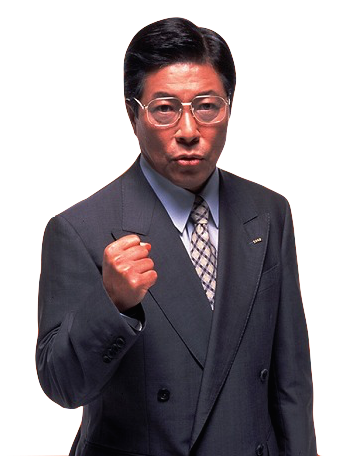 The Dreamcast is a system that EVERYONE from the Angry Nintendo Game Nerd to the people at IGN and Kotaku recognize as an awesome console. I would have commented on your blog about this but I don't want to reward bloggers that use cheap negative comments to get hits. Anyways, chances are the only time you ever looked at this blog was to post that comment. lol - good to see it's still ticking over nicely at the good ol' jukyard! FK and GM - top stuff fellas! ...I guess when you create good content people find out about it eventually. I need to write content like that for my blog dammit! Great link, GagaMan. 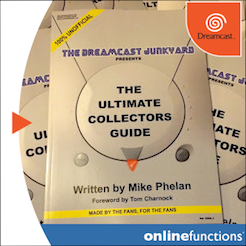 I've been researching Dreamcast shmups -- there are so many, I wanted to know which are the good ones -- and that site was useful.